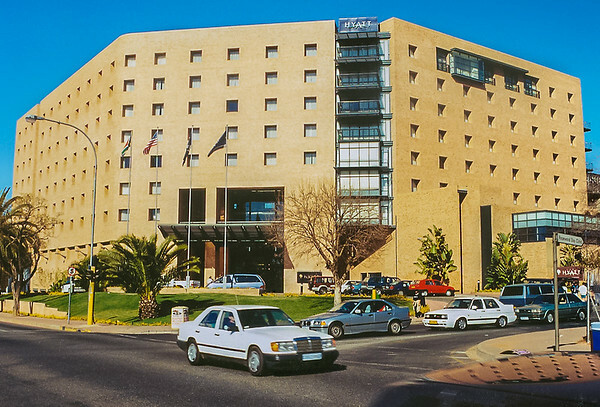 I began the first day of my trip, destination Johannesburg South Africa, on Monday July 13th, 1998. The trip was comfortable considering it was 14 hours from JFK! Business class on South African Airways certainly helped with that. However, when I went to sit down in my seat on the 747 a fellow had taken my seat and insisted that it was his. When he realized that it was mine (I had to give him an education on how to read a seating chart on the plane) he told me that it did not matter. Because, now get this, he had a note from his doctor that would allow him to sit in my seat. It wasn't long until I was seated and he was looking for a new one. I guess I was being too kind to him. He was traveling with some companions and I explained to them I was sorry but I specially requested an aisle seat. They said not to worry because they did not want to sit with him anyway. They owed me! As it turned out this would be only one of my five trips to African countries during the next year and a half, but that is a story for another day. I arrived in Johannesburg on Tuesday 7/14/98 at approximately 3pm (24 hours clock time including a 6 hour ahead wind on the old watch). I passed through customs with no questions and except for the wait on the baggage everything went very smooth. I was traveling for the company I worked for to set up the computer systems for a new business we were starting. The Company driver/handyman picked me up and took me to the Park Hyatt Regency Hotel (hang out for Winnie Mandela). On the way to the hotel we passed by Standard Bank in downtown Johannesburg. The companies contract with Standard Bank is what brought me here! It is a large complex taking up several city blocks. There is another huge building downtown that looks like a diamond. Of course built by a diamond company because of the diamond mines in the area. The Hyatt is a very nice hotel and I paid 800 Rand a day ($134 at the time). The staff was very friendly and helpful and always had a lot of questions about the US. I stayed there a total of 6 months so they got to know me very well. 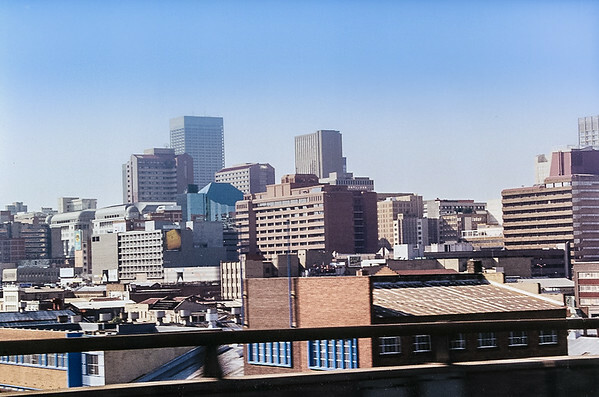 In 1998 Johannesburg had a population of 2.5 million people (4.5 including the surrounding areas). The traffic was actually pretty light and I saw a lot of mini buses carrying people for a fraction of the cost of a cab. A series of hand signals are used to communicate with the driver and he will stop if they apply to his destination. What a sight! Be careful of the drivers, they drive like maniacs. It is also common to see 10 people crammed in a car. Many of the street corners have people selling papers and handing out brochures for local business. A common sight was locals carrying cards of SUPER GLUE proclaiming “3 FOR R5”. Braai: A braai is a backyard barbecue but not limited to hot dogs and hamburgs. A South African braai is a feast of all types of meats and dishes. Something for everyone. Biltong: Similar to jerky in the US and is made of all types of local meats/beasts. The ones I bought were actually on the sweet side. I got hooked on the stuff. Isit? : I heard this all the time. It is just something you say as someone is talking. I might say that after I finish up in South Africa I am headed to Germany. What I would hear is "Isit?". Lekker: Afrikaans word meaning nice. Lets go the the new restaurant, I hear there lamb chops are lekker! My reply? Isit? No: Hear it actually means Yes and many other things. Many times a sentence will start with No. "Would you like to go see a movie? No, that sounds lekkerr!" I heard No used the same way in the Philippines. Here are some other words that are different here in the US but I am exhausted with examples so you can use them in a sentence and see how well you do. Watch for my follow-up stories about South Africa. Unfortunately not everything is a great story, I met a few people who were car jacked, beaten and even killed during my stay there. 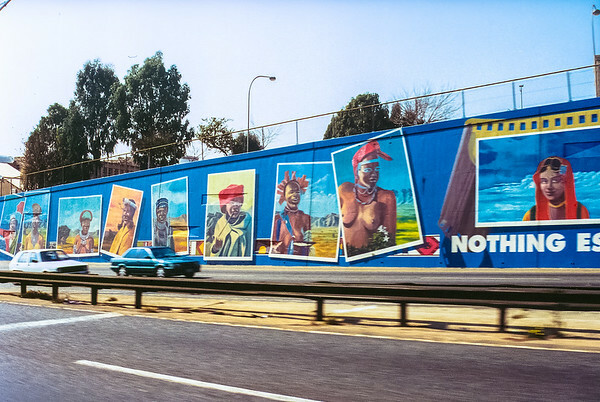 Johannesburg can be as fascinating as it is dangerous.